The Finance Minister's Budget speech had all the right notes for the private equity (PE) industry with the government according the much awaited tax pass-through status for the funds. Foreign investors have been seeking clarity on tax pass-through status for their funds since many years. Earlier only VC firms, which form a sub-category within the Category I of SEBI's Alternative Investment Firm norms, were accorded a tax pass-through status. Now the entire Category I, which also includes infrastructure funds, besides Category II, which includes sector-focused (including realty funds) and sector-agnostic PE funds, have been allowed a tax pass-through status. Category III, which includes hedge funds, are excluded from its ambit. This clarifies the tax position for PE/VC funds around who pays the tax as the liability is on the investor or Limited Partners in the PE/VC funds and not the fund itself. And that was not all; the deferment of taxation under General Anti Avoidance Rule (GAAR) by two years also brought cheer for the investors. Moreover, the government made the right noises about the key demands from a macro economic standpoint with deadline of April 1, 2016 for implementing GST and boosting infrastructure spend in the country. The FM also acknowledged that present taxation structure has an inbuilt incentive for fund managers to operate from offshore locations. To encourage such offshore fund managers to relocate to India, he said he will modify the Permanent Establishment (PE) norms to the effect that mere presence of a fund manager in India would not constitute PE of the offshore funds resulting in adverse tax consequences. “It is overall very good for PE firms as the concerns around permanent establishment and tax pass-through status have been addressed. GAAR postponement is an amasing move,” said Dinesh Tiwari, managing director at Multiples Alternate Asset Management. Padmanabh Sinha, managing partner – Tata Opportunities Fund at Tata Capital, said the clear tax laws, stability and ease of doing business are all steps in the direct direction. 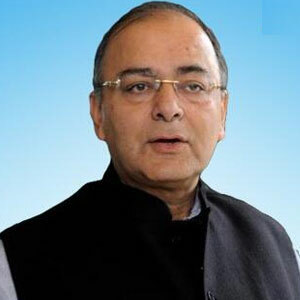 He lauded the Budget for meeting industry demands for clarity on tax pass-through status and GAAR deferment. “We had also been requesting for allowing fund management activity for offshore PE funds in India, similar to the proposal for FPI in the last Budget. While the Budget provides that fund management activity undertaken in India by an eligible fund manager on behalf of an eligible offshore fund will not trigger taxation for the offshore fund in India, some conditions like the minimum threshold of 25 investors for PE funds seem too stringent. PE's capital pool is drawn from large global institutions and tend to be more concentrated than offshore public markets funds,” he observed.